So much about being awesome. Your best one. Ooh that polkadot skirt is beautiful! It looks so great with the peplum top. I really love this look, slowly but surely getting back into pencil skirts again too, very flattering!! I love the peplum top, I have one firmly on my wishlist at the minute as I think they are also so lovely and flattering! Really gorgeous, that skirt looks fabulous on you! 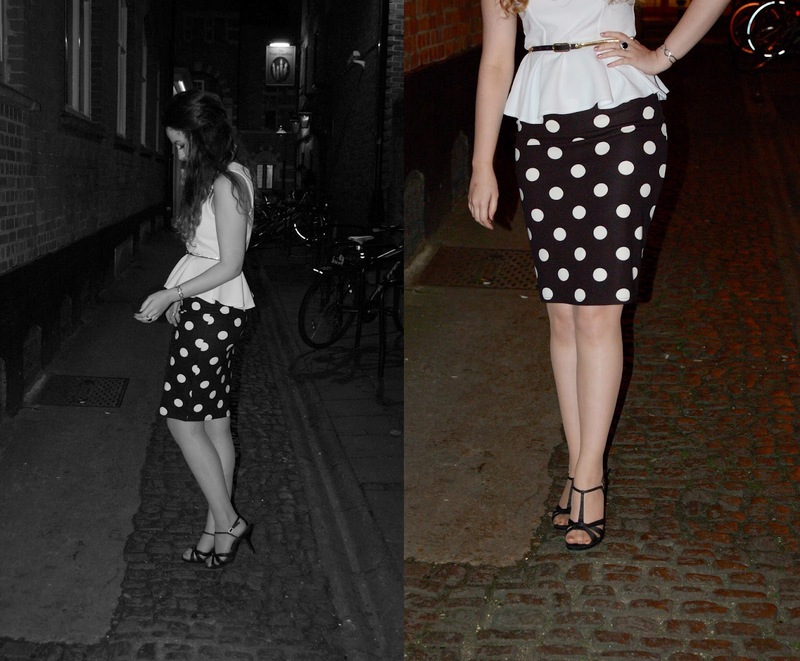 very nice polka dot skirt! You look so much different in a good way in red lips <3 ! Ahhhhh ZELDA WAS FUN! Isn't that right BILLEH? Love the people above me commenting on the lipstick! *PROUD*!! You look wonderfully stylish! Also, I just can't believe I stumbled across your blog out of all the ones out there in the blogosphere- I photographed you and your friend looking very classy at Somerset House during Fashion Weekend! I'm sure you don't remember me, but I've just recently started my own blog, and your photo is in this post: http://thechicapprentice.blogspot.com/2012/02/street-style-at-london-fashion-weekend.html I've been reading some of your own posts and I love your style- will definitely be following! I love this outfit. You look lovely! Peplum and polka dots... LOVE it.